Not only are we insured with higher than industry average coverage but in over 20 years we have never needed to file a claim. You won’t find that anywhere. 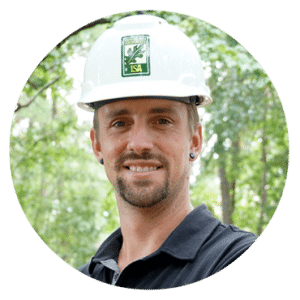 Brad is on the Board of Directors for OHBA, has been a speaker for OHBA (Organic Horticulture Business Alliance), and has participated in public outreach and educational seminars pertaining to tree care. Brandon has been in the tree industry for almost 2 decades! He is currently working in the foot hills of the Sierras to help manage the Pine Bark Beetle crisis in California. 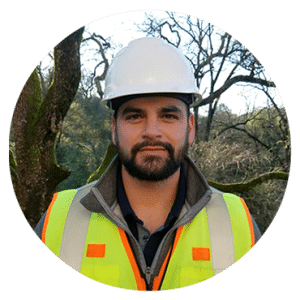 Brandon is an ISA certified Arborist and is also certified in Power Line Clearance. In his spare time, he engulfs himself in independent studies that including Pine Bark Beetle Management and Treatment. 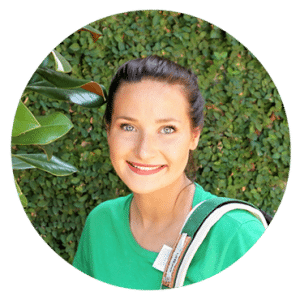 Brittany is an ISA Certified Arborist that has a passion for providing detailed diagnosis and treatment plans to help the average homeowner have the most affordable treatment possibilities. She is currently submerged in independent study of the decomposer system of trees and how to prevent invasive pathogens. Brittany’s personal interest also include Mycology which is the study of Fungi. SAFETY: If we can’t do it safely, we can’t do it. There is a safe way to take down most any tree however, not every tree man and not every home owner is concerned about that. We are committed to responsible tree servicing. CARE: It’s not just important to do a good job. We are well known for the best clean up and damage prevention in the industry. It is for this reason that many Schools, Country Clubs, Businesses, and Gardeners use us. INTEGRITY: As a LOCAL business our long term reputation is more important than making as much money as possible (unlike many others). For this reason we outperform most other local tree companies in general volume. We cannot however compete against that tree guy that you know of but we sure can surely bring a piece of mind that will outlast the bitterness of a poor job. Every week we come across the unfortunate situation where that tree guy you know improperly serviced a tree and now it is dead or diseased. Yes, every week…people make the mistake of using “that tree guy” and end up losing out or paying twice and this leads us to the following question. Why Use A Professional Tree Company Instead Of An Individual? One thing I hear a lot from potential customers is that they would love to use our service but that there is a guy down the street who will do the job for less. There are at least three very important factors to consider when choosing an individual tree person over a tree company and failure to consider these factors can end up costing you tens of thousands of dollars along with piece of mind. Professionalism – An Arborist is among the mostly highly trained professionals in green care. There is a high level of knowledge required in the areas of plant Biology, State and Federal Regulations, Plant Pathology and ISA ethics. The independent “tree guy” or illegal immigrant may have worked for an Arborist company before but is not anywhere near qualified to prune, fertilize or treat your trees. Laws and technologies for Arbor Care are always changing and only those who are licensed proactive Arborists can be expected to be aware of these. It is a shame how many trees our company has had to remove only as the result of previous improper care. If the guy down the street who does the cheap services accidentally cuts a large branch and it lands on your home, who do you think is likely to pay to fix those? If he falls and breaks his leg or worse dies while working on your property, then who do you suppose pays his medical bills or damages to his family? You hope your insurance pays most of it but you had better read the fine print carefully as many policies will not in fact cover most of these instances and you may be out $50,000 for medical bills or his family files a suit against you. At a minimum you are going to be out your deductible and paying a higher premium for your insurance. In conclusion, for a slightly higher cost of hiring a tree company over an unlicensed individual you will be assured of a properly trained and supervised crew to care for your trees but also the peace of mind that comes with knowing these workers are insured, bonded and that any issues arising from their job will be handled by the company and not by you. Whether you need tree trimming, removal, or arborist services to save a tree we are the right choice for tree services.